Stops in Copenhagen, Warnemunde, Tallinn, St. Petersburg, Helsinki, Stockholm, Western Europe and more. 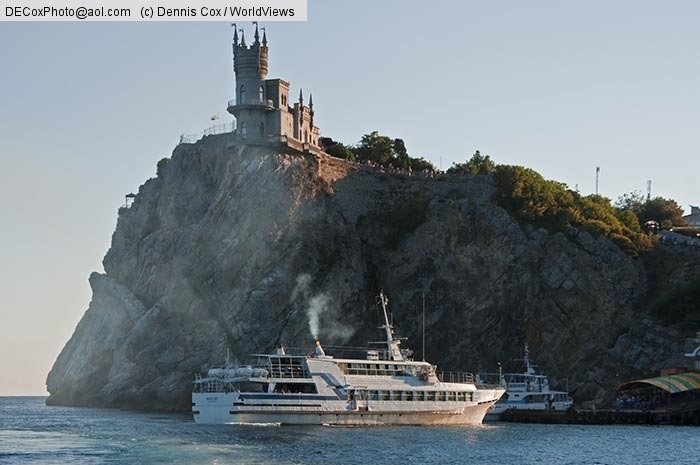 Ferry from Yalta to Swallow’s Nest Castle overlooking the Black Sea on Aurora Cliff of the Ai-Tudor Cape. 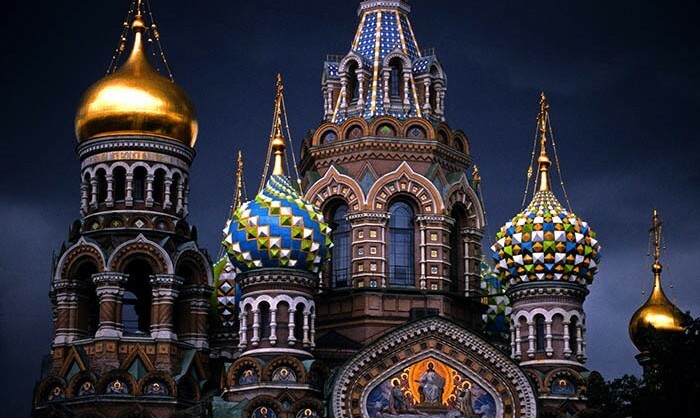 Russia and Central Asia ports of call offer wonderful opportunities to explore exotic cultures. Browse available shore excursions here. 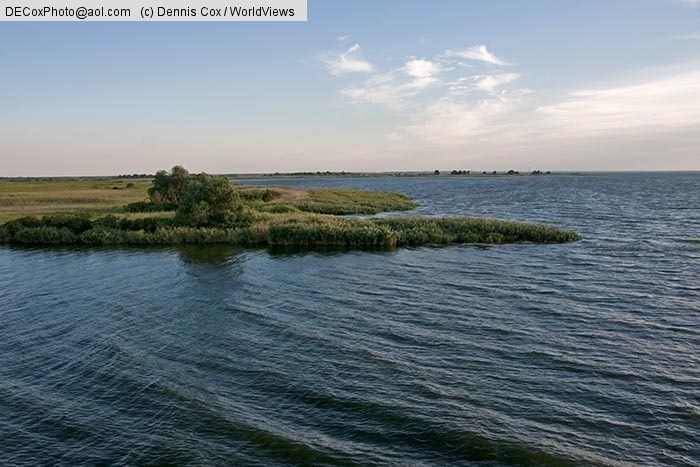 Dnieper River Delta where river enters Black Sea in Ukraine. Explore Russia and Central Asia Cruises here. 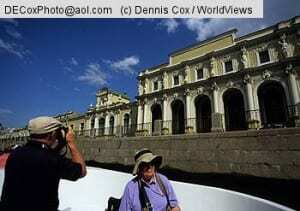 Read what fellow travelers say about their Russia and Central Asia cruises here. 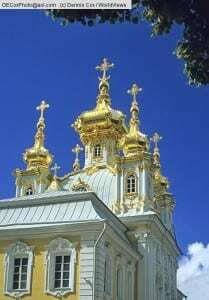 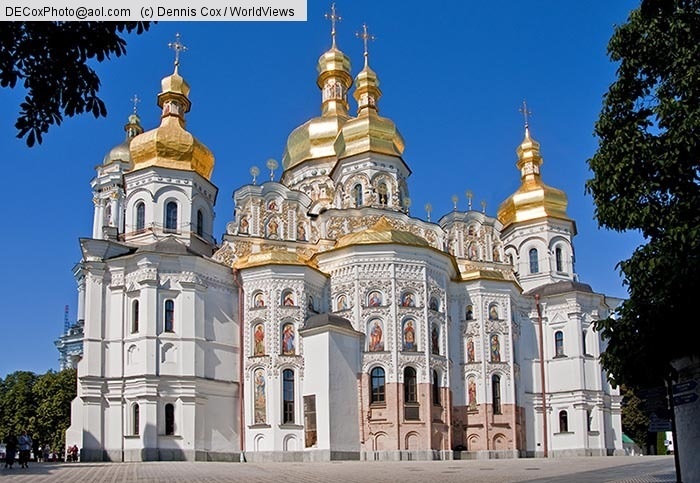 Cathedral of the Dormition at the Monastery of Caves in Kiev, Ukraine. 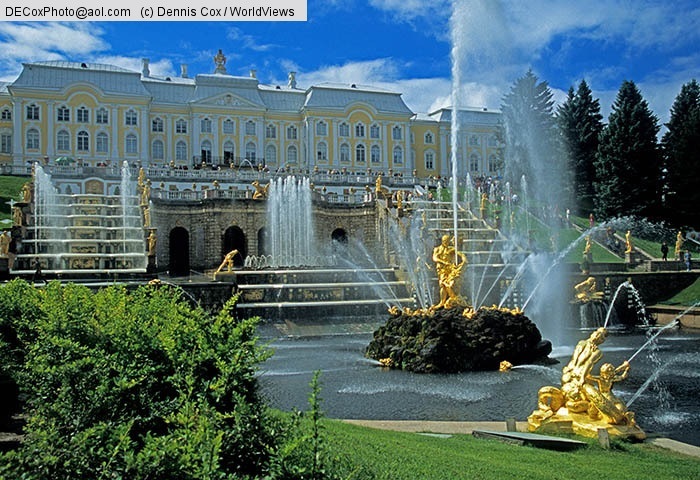 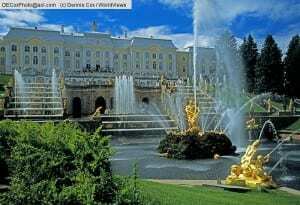 Chapel of the Peterhof (Petrodvorest) Palace, summer palace of Peter the Great in St. Petersburg, Russia.